With so much competition on the Internet, you’ve got to reach out to the customers to nurture your relationship with them. Leads are in demand, and most of the time they know it. You’re not the only seller in your business that’s knocking on their door. In today’s digital age, consumers are no longer impressed only by fancy web design or a decent social media presence. What’s more, your leads have their guards up – they want to prevent themselves from wasting their time or getting scammed. Before they take the plunge and choose you, they’re going to need to be assured that their best interests are in mind. They’re going to need assurance that you deliver reliable quality and that you will continue to provide value. Your relationship with your leads who are not currently ready to buy needs to be nurtured. What Else Should I Know About Lead Nurturing? Lead nurturing is about developing relationships with consumers at every stage of the sales funnel, throughout every step of the buyer’s journey. With lead nurturing, communication and marketing efforts are focused on listening to the prospects’ needs and providing the information and answers they require. Content marketing is going to be the foundation of your lead nurturing strategy. Buyers are becoming increasingly wary of ads, and are increasing the process of self-education – preferably through your funnel. This is where content marketing steps in. It creates a brand voice. Content marketing is simply creating content that is relevant and content that is valuable in a variety of mediums (blog posts, video, infographics). This content will engage, attract and serve your audience. Your leads are already out there digging through the internet looking for solutions for their problems and answers to their questions that you may be uniquely positioned to provide. A well-oiled content marketing campaign will welcome your lead at every stage of the buyer’s journey and will help move your leads through the funnel. So you’ve created amazing content and you’re ready to show it to the world, now where do you put it? Trusted. Use a solid opt-in process so that email recipients know what to expect. Strategic. Sending out lead nurturing emails would be pointless without sales. Coordinated. Use your email content to connect social and website content. Conversational. Give your lead a chance to respond and ensure that the next round of content takes this response into consideration. Relevant. Segment your audience as much as possible, and send highly-relevant small campaigns. Landing pages. Produce strong landing pages that demonstrate authority on a topic of your leads’ interests, as opposed to just one keyword. Resource center. Think of this as an online library. Your brand’s resource center gathers all of your content on every topic and organizes and presents it for a pristine user experience. Don’t take the brand too seriously. Provide good content and stellar offers. If your brand isn’t nurturing a consumer, your competitors most likely are. That means you’re going to lose sales and market share to a more attentive brand. Get started on lead nurturing right away as consumers’ attention spans shrink and the lead nurturing cycle lengthens. So let’s get to it! At the core of a successful lead nurturing campaign is a highly targeted audience. If your campaign is trying to nurture everyone, you’re effectively nurturing no one. You can nurture different groups for each stage in the funnel, but you’ll want to be sure you’re using different campaigns for each. We can’t stress this enough: the more you segment, the more relevant, personal and successful your lead nurturing tactics will be.How could you possibly segment many different leads at every stage of the funnel at once? Well, prioritize groups of leads and areas in your funnel that need the most work. Spot areas of weakness and work your lead nurturing campaigns into there the most. Remember: look at your data to make informed decisions about your marketing strategies. Focus on presenting leads with content that is relevant to their buyer persona, and where they are in the buyer’s journey too. The content you’re using needs to guide leads down the funnel to the next step in their journey in an appropriate way. Some leads may have expressed more interest and engagement in your content than others, and more recently too. You can be more aggressive in outreach with this group. Recentness and interest should mirror nurturing frequency.On the other hand, if someone isn’t engaging in a while, you don’t want to step on the gas too hard. Try to ease them more subtly through the funnel. If a lead hasn’t engaged in a while and if you begin to send them an email every day out of nowhere, they’re bound to be turned off. You can follow best practices, but they won’t do you much good if you don’t measure or track your success. When you are tracking success and failure, reflect: what were the specific goals of the campaign? What can you measure to reflect your campaigns’ effects on your business’ bottom line? Think about conversion rates based on lifecycle stage moving down the funnel. These metrics will show you the opportunities you have opened and lifecycle stage changes to your campaign efforts. This will ultimately show how your campaigns are driving business. Know what’s working and what’s not. Your leads are real people, so use real-time data to drive decisions. Nurturing relationships with customers through emails is not new. Nowadays every business has a mailing list to which occasional emails are delivered to keep customers and prospects in the loop. 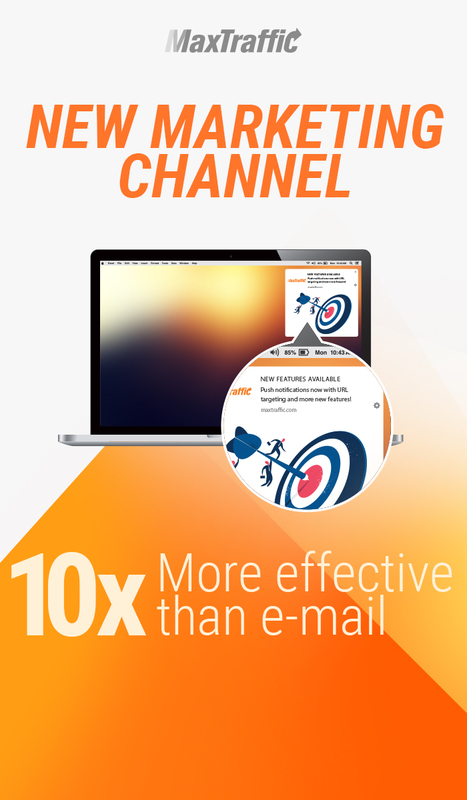 But what does it take to create an email that helps you strengthen relationships with your leads and convert them faster? Bring something of value to teach your leads with every email. You can think of your lead nurturing emails as mini blog posts. Teach your leads something new and they will look forward to receiving your emails in their inbox. Focus each email on one topic and include a call to action. Email recipients receive countless messages all day and are looking for a reason to delete yours. Focus the content of your email on the topic your lead made their first conversion on, and address the problem your lead is trying to solve with your lead nurturing emails. Your lead should be able to glance at your email and understand the value it provides within five seconds. Information overload happens quickly in email. Carefully plan the flow of your emails that will pull your leads through the sales funnel. For example, the first email might be strictly educational, while emails afterward continue to educate while giving leads an opportunity to convert a second time. Now that you know what lead nurturing is, why it’s important, where to use it and how to use it, go ahead and give it your best shot. As we mentioned, lead nurturing isn’t something you should wait on. No matter where you got your leads, from landing pages, SEO campaigns, social media or the best ppc marketing campaign, these are real-life people who have expressed interest in your brand and may even be actively searching for answers and solutions you can provide as we speak. Don’t idly sit by and wait for your competitors to scoop up your prospects, begin lead nurturing and show your future customers how much they mean to you. Keep your emails short – that works really well for us. As well as having a single CTA to close the email.